Robert Benedic Browder was born on December 11, 1962, in Memphis, Tennessee. and grew up in Charlotte, North Carolina. Browder parents were race car owner and operators. Browder was a star player on the Furman football team. Browder attended Furman University in Greenville, South Carolina and graduated with a degree in psychology. After the successful college football career with the Furman University Paladins as a Championship-winning Linebacker, Ben began starring in theatrical productions and later moved to London to study classical acting at the Central School of Speech and Drama. In 1997, Browder appeared as Sam Brody on the U.S. television show Party of Five, in its 3rd season. He starred as American astronaut John Crichton in "Farscape". In 2004, Browder appeared in the movie "A killer Within," co-starring C. Thomas Howell and Sean Young. In an episode of the animated series Justice League Unlimited entitled "The Once and Future Thing, Part 1: Weird Western Tales" Browder voiced the character Bartholomew Aloysius "Bat" Lash in January 2005. In 2012, Ben was cast in an episode of Doctor Who, "A Town Called Mercy", which was filmed in Almeria, Spain in March. Browder played Max the Janitor in 2012 live-action feature film "Bad Kids Go To Hell", which was based on the graphic novel of the same name. 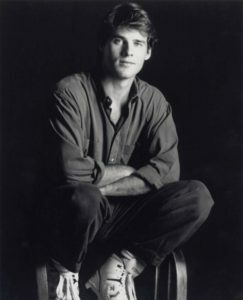 Ben Browder playing Colonel Cameron Mitchell in "Stargate"
In 1989, Browder married Francesca Buller, an English actress, whom he co-starred in Farscape. The couple met at a school in London and decided to marry in May of 1989. According to an interview, the duo has a lot of love and respect for each other. As a result, chances of divorce seems very less. Despite rumors about Browder's sexuality of being gay, he proved it, as he is a married man and a father of two sons. Browder's net worth is in million but the exact figure is yet to be revealed.